NORTH Melbourne's failure to land a free agent last year has left it with a war chest to target two different million-dollar men as it prepares to again be the most aggressive player in this year's exchange period. The Kangaroos fell short in their big-money bids for Brownlow medallist Dustin Martin and Greater Western Sydney star Josh Kelly, but they are ready to reload and target the stars of this year's free agency pool, according to chairman Ben Buckley. 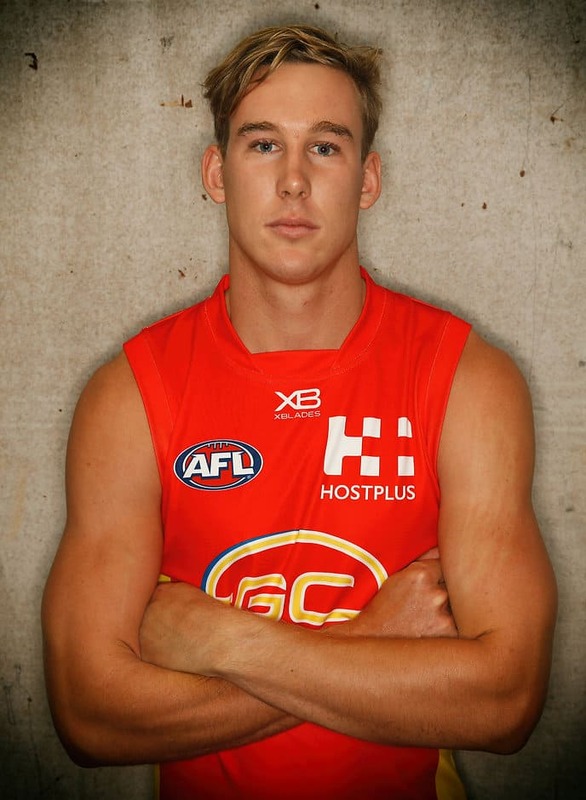 Gold Coast co-captain Tom Lynch and Adelaide's Rory Sloane are the biggest names available, with West Coast All Australians Jeremy McGovern and Andrew Gaff also due to come out of contract as free agents at the end of this season. While not identifying specific targets, Buckley said his club would chase top-tier talent aggressively this year and would not be put off by its failure to land a big fish last year. "We will continue to be bold and assertive in bringing the best possible talent into the club," Buckley told News Corp.
"We will be extremely active in the free agency area as much as anyone else — if not more. Our supporters would expect nothing less and our team would expect nothing less. "We clearly have substantive room to attract elite players. We won’t use that just because we have it, but we will use it to attract the right players ... the best players." Gold Coast star Lynch is certain to attract offers well in excess of $1 million a season from several Melbourne clubs, while Sloane appears set to enter that bracket as well as a free agent. West Coast has reportedly discussed contract terms of $800,000 a season for McGovern over five years, while Gaff's negotiations are slated for mid-season. Lynch's co-captain at the Suns, Steven May, said he believed the star forward would take his time making a decision this year, but that would not impact on his performance. "If anything, it (performing well) is going to earn him more money by the end of the year," May told RSN on Thursday. "It's not a worry, he is a 100 per cent invested type of person. "If we can get some wins early that will really help his decision, but that's not something we're thinking about." As well as this year's pool, the Kangaroos have an eye on the 2019 market, when Kelly will become a free agent, with Buckley not ruling out another bid for the elite midfielder. "I reckon every club in the competition will be looking at a player like Josh Kelly," he said.